FBox is a very powerful and efficient tool to manage large numbers of files and folders. 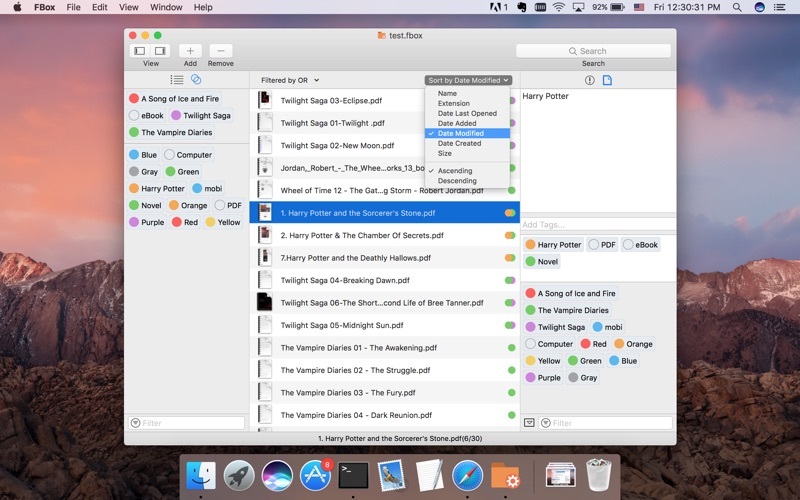 FBox offers you the powerful ability to categorize files with tags and notes, and categorize files to serval types automatically, the intuitive way to filter files with type, tag or multiple tags. 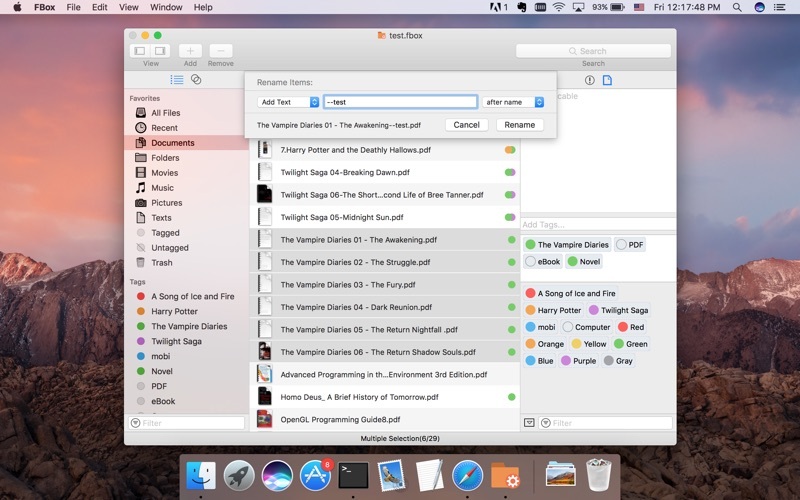 the useful function to search, rename, share, export, or quick look files. 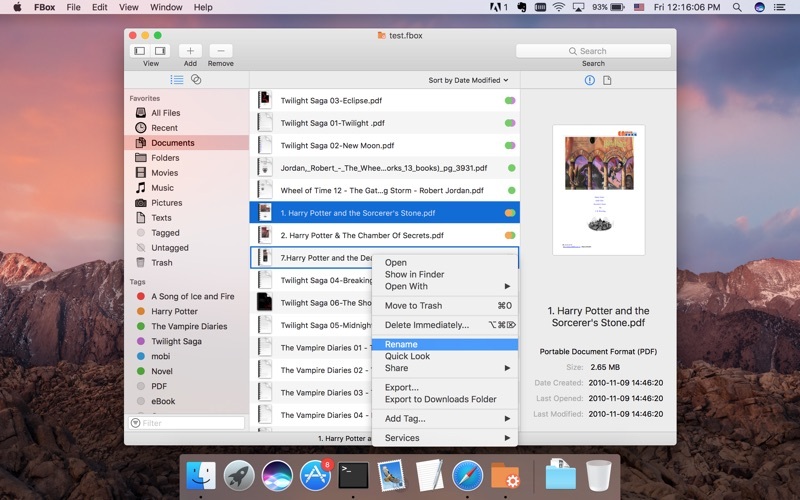 It is document-based, which means that you can create multiple independent fbox files as you need. 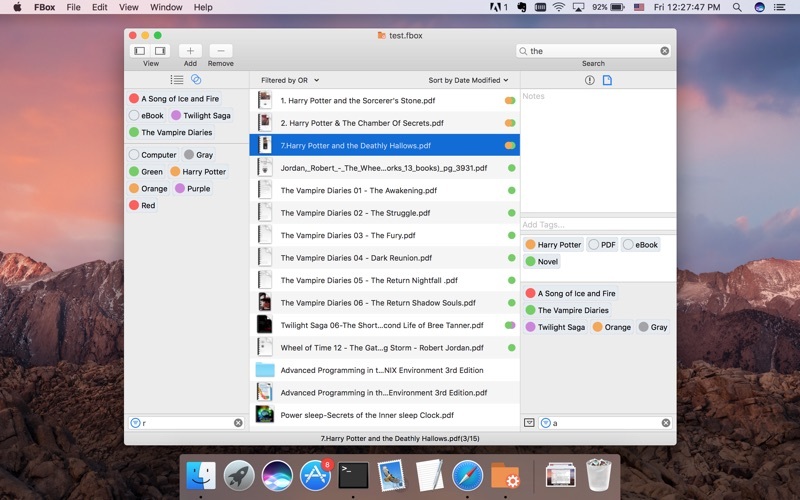 ◆ Easy to add files or folders, simply Drag & Drop. 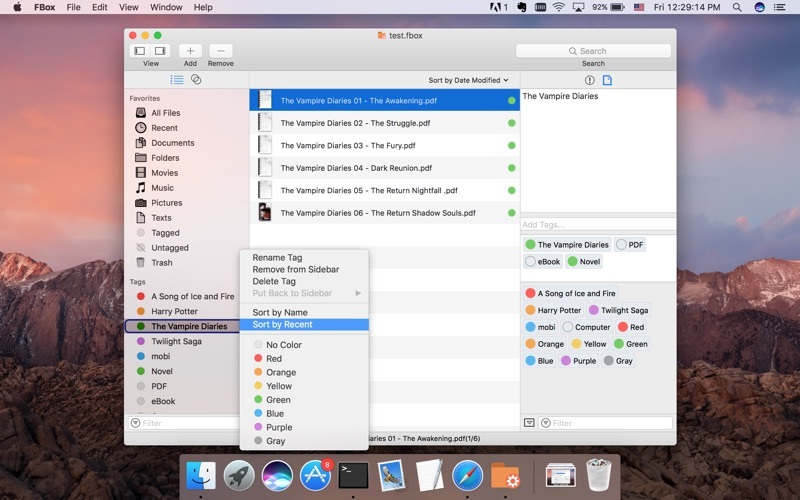 ◆ Automatically categorize files to several types, such as all files, recent, documents, folders, movies, music, pictures, texts, tagged, untagged, and trash. You can also hide or show the type on left sidebar. ◆ Add or remove tag for an file, even for multiple files at a time. ◆ Manage tags, rename, sort, color or delete tag, you can also hide or show the tag on left sidebar. ◆ Filter tags, hide the unnecessary tags temporarily. ◆ Filter files with tag or type, also can filter files with multiple tags by AND or OR. ◆ Sort files by name, size, extension, date last opened, date added, date modified, or date created. ◆ Add notes for file, even for multiple files at a time. ◆ Rename file, even offers powerful rename tool to rename multiple files with three way at a time. ◆ Others, search, share, export, or quick look files.